Dan has many old trees around his garden with signs detailing their estimated age along with a brief history of the tree and how he acquired it. The trees on display in his garden on the younger end of the age spectrum are mostly those he personally has grown from seed over the past 40-50 years. The vast majority of the rest of his trees are centuries old that he has collected from some rocky mountaintop or growth-inhibiting bog. Frankly, Dan has so many multi-centarian trees that the layman, who is not informed as to the extent of such available specimen in the US, often is suspicious that Dan overstates the age of his trees. The scrutiny of the masses is enough to make Dan be more conservative with his labeled ages. Despite that conservatism Dan's oldest tree is said to originate from 300 BC. As astounding as that is, he often tells me he suspects the tree to be a thousand years older, but does not label it as such because those without his knowledge and experience in forestry would think him guilty of gross exaggeration. There is a clear discrepancy between what the public is familiar with and what Dan is familiar with; this discrepancy is a major motivating factor behind Dan's collection and displaying of old deadwood snags in his garden because most people will never see these ancient artifacts of amazing trees in person anywhere else. This is Dan's oldest tree in his garden, sometimes referred to as "Methuselah." I assume it was so-named after the man of the same name who was reported to live to 969 years old in the Hebrew Bible. Dan has kept this tree for years in its natural state - without any styling - out of respect for the 2000+-year-old tree as well as to show visitors something they might find in the wild. This photo was taken in early April of 2016, however, since then Dan has put some approach grafts of Shimpaku juniper foliage onto this tree. 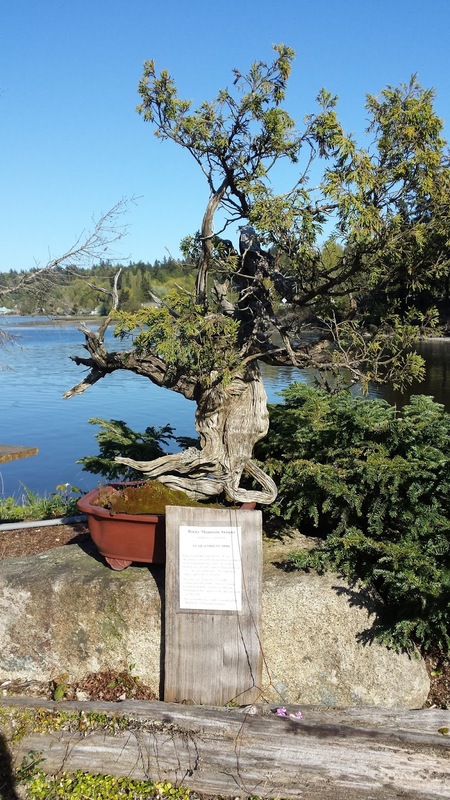 Rocky mountain juniper foliage reportedly does not do well in our wet PNW climate and that fact is the main suspected cause for the slow decline this tree's health has observed in recent years.